On March 1st this year, the government increased the penalties for using a mobile device whilst driving. This followed an increase in the number of accidents – many serious or fatal – where a driver distracted by their phone was a contributory factor. The hope was that by doubling the fine from £100 to £200, and the penalty points from three to six, it would be a major deterrent to those tempted to interrupt their concentration from the road ahead. For drivers within the first two-year period of passing their test, the penalty is even harsher. They face an immediate ban from driving. However, according to a poll of 1,500 drivers, by Co-op Insurance, the deterrent effect might not be having the desired result. Eighteen percent of those questioned admitted they still use their mobile to reply to emails or browse Facebook while on the road. Many more owned up to being distracted by ‘tweaking’ their sat-nav app or changing the music playing from their phone. when you are safely parked with the engine off. to dial 999 or 112 in an emergency and only when it is unsafe or impractical to stop. This also applies to anyone who supervises a learner driver, or who pays at a drive-through restaurant by using their phone while the engine is still running. In short, using any mobile device in your car which has the potential to distract you from the road ahead, could provide a reason for the police to stop and question you. The only sensible solution appears to be to place your mobile in the boot, or the glove compartment, before setting off. Removing temptation could save you a costly fine – or worse! 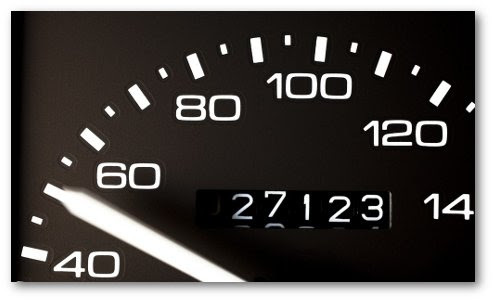 Most of us are guilty of speeding at one time or another. The authorities have traditionally allowed a tolerance of 10 percent of the posted limit plus 2mph before issuing a penalty. This meant if you were travelling at 57mph in a 50mph zone you were likely to get away with it – maybe! However, this was based on giving the benefit of doubt to a driver and the questionable accuracy of the existing equipment. From April 24th 2017 this could all be about to change. With reliable technology now installed in most vehicles and the desire of government to make our roads even safer, the discretionary ‘leeway’ is likely to be withdrawn. 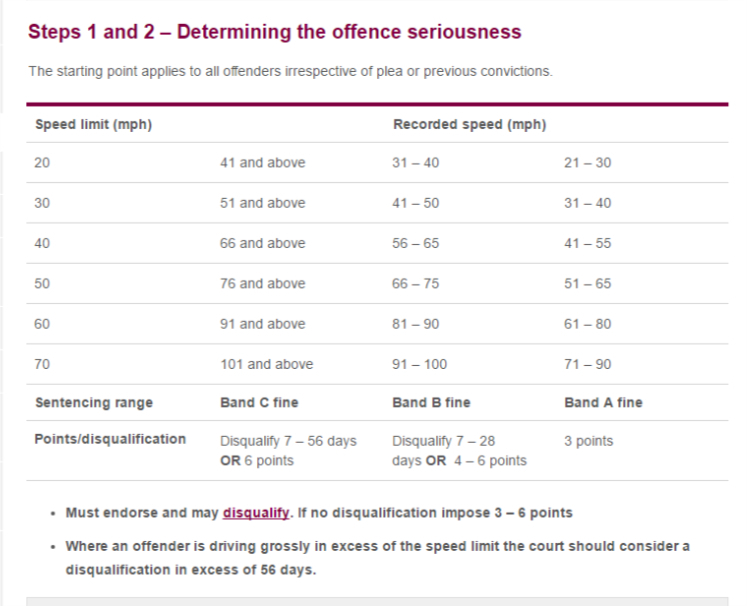 Band C – for speeding offences regarded as being very serious. Magistrates still have the power to show leniency if mitigating circumstances can be demonstrated. Additionally, they are still at liberty to add points to a licence or disqualify a driver either temporarily or permanently. It appears the increased cost of breaking the posted speed limit is about to outweigh the gamble of getting caught! The relationship between cyclists and motorists is similar to that of oil to water – they are not a great combination when using the same surface. Both travel along many of the same roadways and both seem to think they have right of way over each other. 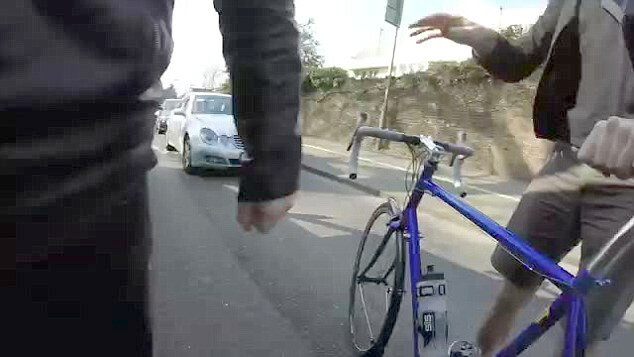 Social Media sites like You Tube entertain us with a multitude of clips posted by aggrieved helmet cam wearing cyclists, who have recorded near misses, and often violent confrontations, with angry drivers while on the road. A common theme of these ‘incidents’ is the overtaking motorist passing far too close to the cyclist and/or cutting in too quickly once they thought they had passed their two wheeled nemesis. Many motorists assume that a cyclist should keep to the far left of the lane in which they are travelling but according to the Highway Code, it is permissible, and encouraged, to use the full width of the carriageway. It is the responsibility of the passing motorist to wait until the road is clear enough to attempt a full passing manoeuvre, leaving a gap of at least a metre between themselves and the cyclist. They should then make certain they are well ahead of the cyclist before returning to the lane they were originally in. It sounds simple when written on paper, but when driving through congested towns and cities where heavy traffic fills the oncoming lane, it leads to fewer opportunities for executing a text book overtaking manoeuvre. That leads to frustration for the motorist and often an incident. However, there are no excuses for ignoring the rules. 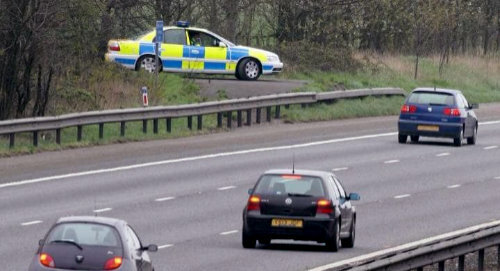 Many police forces have recently set traps to catch impatient motorists. They use a Lycra clad officer riding a bicycle fitted with cameras. If an overtaking motorist passes too close, or cuts in too quick, they are stopped further down the road and either ‘spoken to’ or issued with a penalty notice. Of course, not all drivers are bad and not all cyclists are good. There are members from both camps who take chances hoping they can get away with it. What we have to remember is: we are all here to stay and where dedicated bike lanes are not available, we’re obliged to use the same road space. Maybe it’s time for everyone to demonstrate some consideration – whether we’re on two wheels or more? Information released in response to a Freedom of Information request by the Institute of Advanced Motorists has unearthed five drivers who individually have gained more than 37 points on their licences. It is generally regarded that an individual who has accrued a total of 12 points, within a period of three years, will be disqualified from driving for a given period by a court. However, a judge is able to show leniency if it’s considered a ban will cause “exceptional hardship” to the individual. 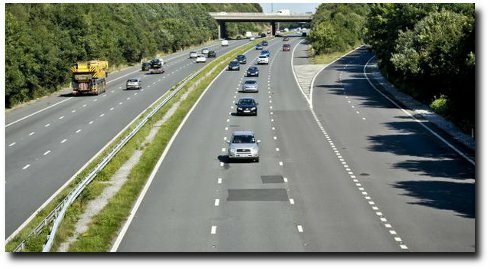 Within the cases revealed, one driver had accrued a staggering 51 points, after being caught several times breaking the 30 mph limit and refusing to supply his driver details, while another held points for several speeding offences including one incident where he had been clocked at 109mph. He had also refused to supply his driver details. Both of these drivers had claimed they would suffer “exceptional hardship” if they were disqualified from driving. While it’s a good thing there is some leeway regarding an individual’s circumstances, surely there should also be consistency in the application of the law? After all, there will always be those who will flout the law and try to exploit loopholes to save themselves the inconvenience of a ban once they are caught. Speed limits are there for a purpose – however frustrating they can sometimes be to an individual driver. They attempt to set a common standard and protect all road users from the excesses of the minority. But, most importantly, they are there to try to protect us all from suffering the “exceptional hardship” of being involved in a road traffic incident, whether we are cyclists, drivers, horse riders or pedestrians. 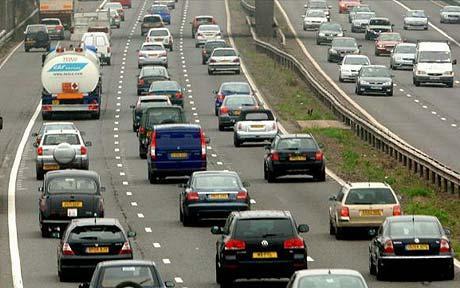 It’s taken two years but finally someone has been punished for ‘hogging’ the centre lane of a motorway. This week, Leeds Magistrates fined a motorist £940, with five penalty points on his licence, for inconsiderate driving. He is said to have declined numerous opportunities to pull into the left hand lane. The prescribed fine is £100 and three points, but the man had failed to attend court after ‘assuming’ it was only a minor offence. Prosecutors claimed the offender had been observed blocking off at least six cars, who’s drivers had subsequently been forced to brake and overtake, when he had enough time and space to move into the inside lane. But, it seems he is not alone! A poll last year, by insurers Direct Line, found that 43% of more than 2,000 drivers questioned, admitted they regularly drive in the middle lane because it was an “easier way to drive” and “saves me changing lanes” A further 18% claimed it was just a “driving habit”. How much in time and expense is that costing the logistics industry – and ultimately the consumer – each year? If police continue to concentrate on sourcing drivers committing this offence, traffic flow on motorways will either speed up considerably, or motorists will be providing the Treasury with an even easier source of funds than we do now! You can’t say we haven’t all been warned! 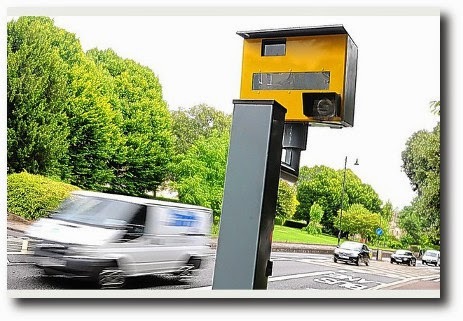 Speed Cameras – Deterrent or Cash Cow? Speed cameras tend to produce the same reaction as Marmite: you either love them or hate them. Those on one side of the argument think they are a valuable road safety tool while their critics think they are nothing more than just another means of raising money from motorists. Whichever side of the argument you may take, there are some interesting details to be found within the recently released Kent and Sussex speed camera statistics. One camera in particular, recorded nearly 8,500 speeding drivers over the last 12 months. An increase of over 3,500 in three years hardly suggests a deterrent. Road safety campaigners still insist cameras are contributing to saving lives but the above figures seem to suggest this particular camera is having little, or no overall effect. Are speed cameras a cash cow? The revenue from fixed cameras in Kent and Sussex, as a whole, over the last 12 months was a staggering £3.3m. – up more than £1.1m from the previous year. If you total the revenue collected in fines from all the cameras in the UK, it must add up to a pretty tidy sum. Quite how much of this revenue makes it’s way back into the road system is unknown. However, the accumulated interest must be considerable. For financial reasons alone, it seems speed cameras will be around for a good while yet. With an increase in the installation of unmarked HADECS (often referred to as ‘stealth’ cameras),which are reported to have caught over 700 drivers in two months on the M25, it seems it’s both safer, and more prudent, to observe and obey the posted speed limit at all times.